The annual rankings season has started, and we’ve seen Apple taking the crown yet again as the world’s most valuable brand. Vanity Fair has its own annual list called “New Establishment,” which includes one hundred Silicon Valley hotshots, Hollywood moguls, Wall Street titans, and cultural icons. This year, both Apple CEO Tim Cook and SVP of Internet Software and Services Eddy Cue have made it onto the list. Compared to last year, Eddy Cue is a new appearance. 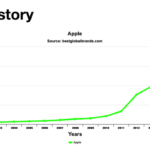 In the 2015 “New Establishment” list, Tim Cook was accompanied by Jonathan Ive, Apple’s head of design. Cook took the eleventh position in 2016, and the Vanity Fair comment highlights Apple’s opposition to the FBI for building a software that would weaken the security of its mobile operating system (see San Bernardino iPhone 5c case). 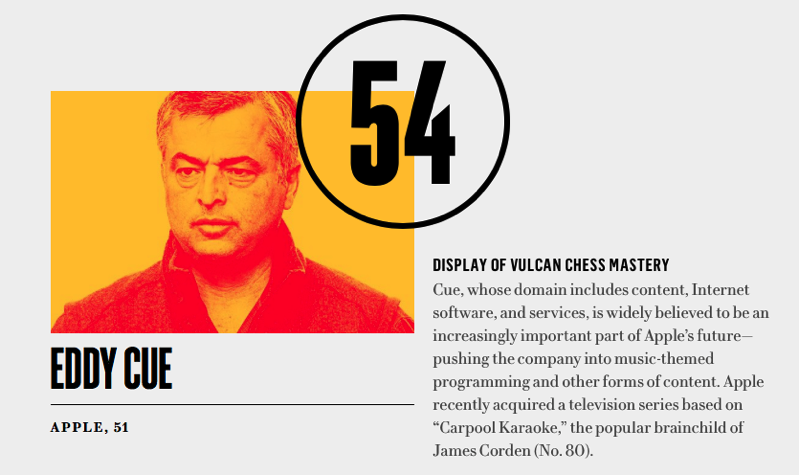 On the fifty-fourth spot, we find Eddy Cue, a key figure in Apple’s future, as he pushes the company into “music-themed programming and other forms of content. Apple recently acquired a television series based on ‘Carpool Karaoke,’ the popular brainchild of James Corden,” Vanity Fair notes.